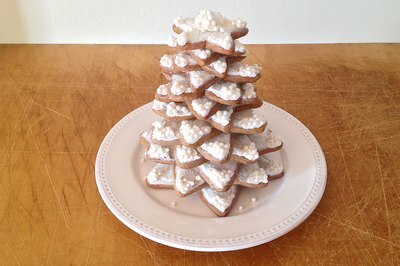 Forget about store-bought decorations come Christmastime, and instead, make edible ones. 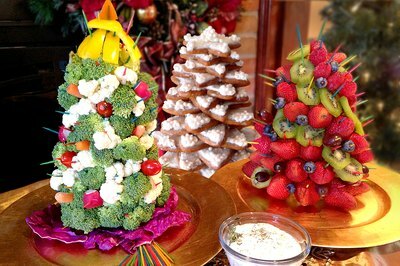 Whether you prefer vegetables, fruits or even cookies, you can easily create a fun and delicious edible Christmas tree that is sure to be a stunner at any function. Cut the top and bottom off a pineapple and remove its outer layer. 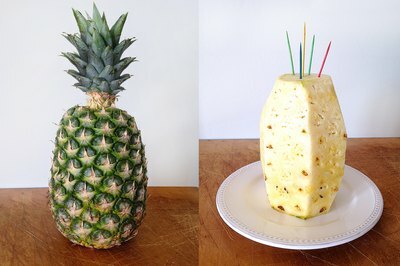 Stand the pineapple upright on a plate and attach several toothpicks to its top. 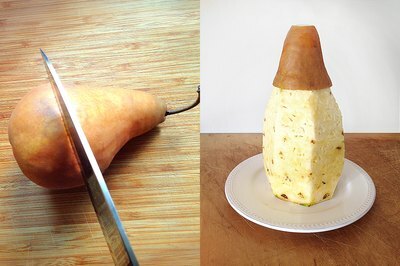 Cut the bottom off a pear and attach this to the top of the pineapple by pressing it down on the toothpicks to create a tree-shaped base. 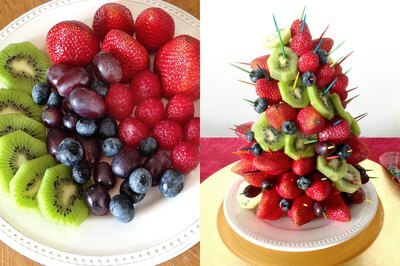 Affix various fruits to the base using toothpicks. Alternate colors and shapes of fruits for an aesthetically pleasing tree, using fruits such as strawberries, blackberries, raspberries, kiwi fruit and cherries. Attach toothpicks to a Styrofoam cone to form the base of the tree. 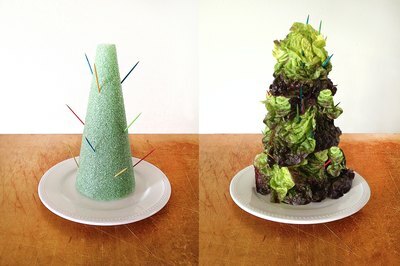 Cover the base with lettuce, piercing through each leaf with the attached toothpicks to secure it in place. 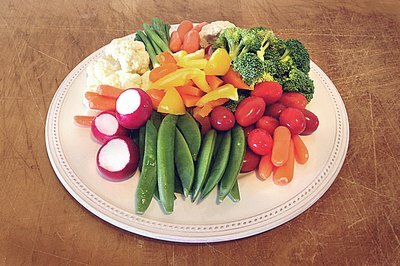 Prepare vegetables including cherry tomatoes, radishes, green peppers, broccoli, carrots and cucumbers by washing and chopping them into bite-size pieces. 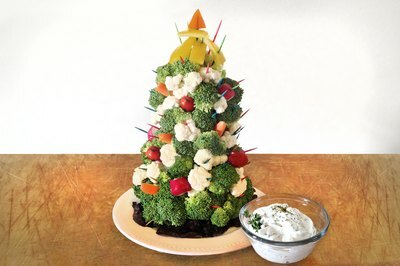 Arrange the vegetables on the tree by securing them with toothpicks. Create different layers and patterns on the tree using vegetables of different colors. Serve the tree with a veggie dipping sauce. Make sugar cookies or any other type of cookie that works well when cut with cookie cutters. 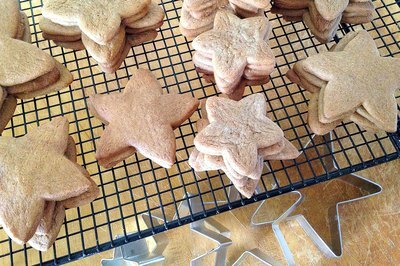 Use up to 5 different sizes of star-shaped cookie cutters to create multiple sizes of cookies. Bake the cookies as usual and allow them to cool completely. Apply icing to the cookies and allow it to harden. 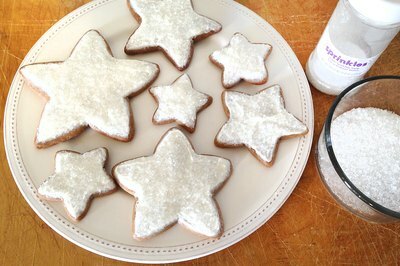 If desired, sprinkle the cookies with edible glitter before the icing hardens for added decoration. 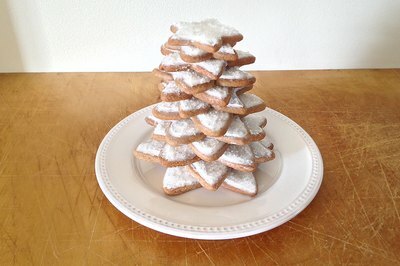 Stack the cookies, with the largest at the bottom, to form a tree, gently pressing each cookie on top of the previous one to secure it. Add cookies to the tree until it reaches the desired height, using smaller cookies as you go up the tree to form a cone shape. Use icing to add embellishments such as a candy star to the top of the tree or candy ornaments to its branches.